The comical thing about all of this isn't the meltdown by Cats fans, of course they're upset. It's how a fan base like ours can make fun of Kentucky and karma will bite us in the $$$ and KY will put us out of the SEC Tournament. karma had a flat top, we shouldn't have to worry about that anymore. I just don't get triggered as easily as LittleCat, God love him. 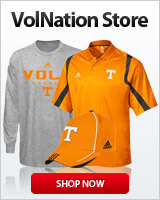 That said, I won't deny savoring the meltdown at VN after the Cats beat the Vols on the gridiron this year. The "Cal isn't a great coach, just a good recruiter" narrative is really getting trotted out again. OK, but he's made at least the Elite Eight 6 times in 9 years at Kentucky. Coach K hasn't even done that over the same timeframe. He's also won a title and almost won another. We put so much emphasis on a coach's tournament performance when evaluating them - Cal has only bowed out early once in the tournament while at Kentucky, in the Round of 32 two years ago. That's pretty damn good. The funniest thing about Kentucky fans is how they think that the alleged conspiracy is against them. They are a bluest-of-the-blue-bloods program. If any conspiracies exist, they surely would exist to benefit them, not rig it against them. I guess I can buy their claim that the NCAA doesn't like Cal personally. But nailing Cal also nails the Kentucky program, which they don't want to do. If Kys Washington had hit 60% of his FTs they win. Uh, the UK team went through the handshake line. Theres photographic evidence of them shaking the hands of the KST coaching staff. Its not their responsibility to wait around until the KST players stop celebrating in the middle of the court. Watch the game and it's hard to deny KState was fouling...a ton. UK was too, but it was a very physical game at times. Refs were bad both ways though throughout calling ghost calls. Seemed very trigger happy. If it was reversed UK would get criticized for celebrating while the other team tries to shake hands. Thanks for the well-informed tip. Surprised you didnt burn your retinas reading that smoking hot take. There are some people you don't cross a cow pasture with on a hot summer day. They scatter manure piles just to see how many flies show up. No way he's leaving with Brad here. He'll probably try to win one more title and then ride into the sunset. He's aged a ton at UK and I can't see him taking any more jobs afterwards. ...and 5-5 since 2013. That ain't bad. Over the entire time we have played each other, no, it isn't a rivalry though. The true meltdown at TCP is over who's going pro and who's staying. So much angst.